"Chinese traditional culture is especially important today, when the society is gradually losing its moral standards due to utilitarianism and materialism." The number of Chinese students seeking to be educated in the West has received significant media attention in recent years, but what about the flipside? As the world's second largest economy continues to grow and evolve, what will this mean for the further development of higher education institutions in modern China and for their influence with educators and students around the world? Kuo Ping Wen (1880 - 1969), who studied under John Dewey (historic American education reformer), is considered the founder of the modern Chinese University. Wen was a strong supporter of a broad education in the liberal arts and sciences and of women's education. On Saturday October 25, American and Chinese government officials, policymakers, education scholars, higher education faculty members and graduate students will attend a symposium on his life and work at Teachers College, Columbia University. This event is part of a longer conference on Kuo at the China Institute in New York City. 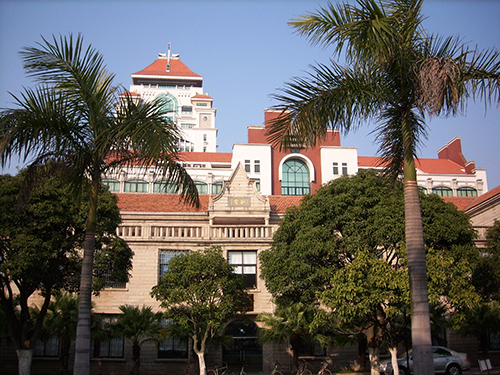 Today in The Global Search for Education, I continue our East vs. West educational exchange conversations with contributors to the Symposium: Associate Professor Lee Shu Ping from the Chinese Literature Department at National Central University, Taiwan, and Yaqun Zhang, Professor in the Institute of Education and Vice Director of the Examination Research Center at Xiamen University. Zhang is also the managing director and deputy secretary-general of the professional commission of the Imperial Civil Examination Culture, China Yanhuang Culture Research Association. What do you hope to learn from the Kuo Ping Wen Symposium? Lee Shu Ping: Mr. Kuo Ping Wen is an important and influential figure in the history of National Central University. I am very honored to be invited to this conference as a representative of the university. I hope to learn more about Mr. Kuo's educational theories and of their influences, which would serve as resources for my future articles about Mr. Kuo. In President Xi Jinping's recent speech on education reform, he recommends an emphasis on teaching traditional Chinese culture and values. Do you also believe this is important for students in a 21st century world? Lee Shu Ping: I agree with Mr. Jinping Xi's opinion because there are many core values in Chinese traditional culture that are eternally true. They are virtues rooted deeply within the cultured minds and souls of individuals. Chinese traditional culture is especially importantly today, when the society is gradually losing its moral standards due to utilitarianism and materialism. Generally speaking, mainland China has not done a good job in preserving traditional values. Therefore, it is not unexpected that Jinping Xi has emphasized this point. It is very important to spread the values of Chinese traditional culture. To perpetuate them in the students' daily lives would be a very good form of education. What are the pros and cons of students being exposed to both Eastern and Western education systems during the course of their school years? Yaqun Zhang: I meet graduate students that come from Southeast Asian countries such as Thailand in my courses and perceive that these students are interested in both the Eastern and Western cultures. They are readily receptive to new ideas according to their needs. I think there are both advantages and disadvantages for students being exposed to both Eastern and Western education systems. The advantages are the strict and well-organized standards in Eastern education systems, but there are some disadvantages, such as insufficient elasticity and adaptability. The advantages of Western education systems are their diversity and flexibility but their disadvantages are perhaps their looseness. "Chinese students would not change their desire to study abroad even if large numbers of students from the West attend Chinese higher education institutions because the higher education of China and the West complete each other." Do you think Chinese higher education institutions provide their students with a world-class higher education equivalent to the programs offered by the best higher education institutions around the world? If not, what needs to be done to improve the programs that exist currently? 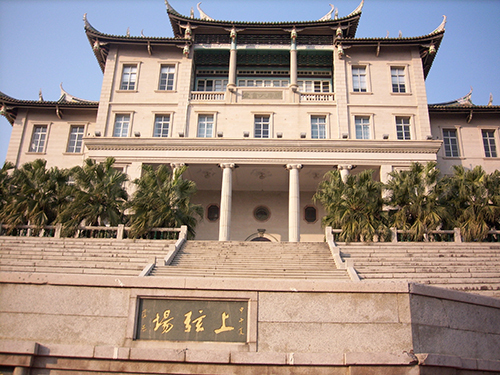 Yaqun Zhang: As a result of reform, China has made great progress in higher education and can provide its students with world-class courses in subjects such as traditional culture and modern science in its most distinguished universities such as Peking University, Tsinghua University and Fudan University. 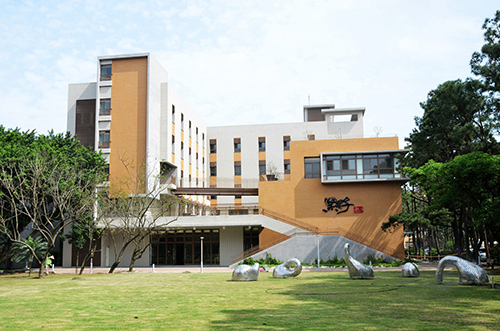 Of course, there is a distance between Chinese higher education institutions and the best higher education institutions around the world because China is still a developing country and so it needs to improve the quality of higher education. I think the key ways of improving the Chinese programs that exist currently are increasing core courses in natural sciences, social sciences and humanistic studies, enhancing general education, expanding the choice of courses, developing professional proficiency of teachers, and improving the assessment for courses and management systems. For example, what has been done at Fudan University and what is going to be done at Tsinghua University. Current trends show that Chinese parents want their children to be exposed to a Western education. Do you see that trend changing in the foreseeable future, i.e. a day when large numbers of students from the West attend Chinese higher education institutions? Why or why not? Yaqun Zhang: The number of Chinese students who study abroad has increased rapidly in recent years. However, at the same time, the numbers of students who come from the West to China have reached a certain scale. This has been helped by the open policy of China and the internationalization trend of education. I think this trend will not change in the foreseeable future because it adapts to the objective requirements of educational and cultural exchange between the East and the West, and it is the choice of learners. Although the numbers of overseas students are not equal now, (the numbers of students from China far exceed the numbers coming from the West), the exchange of education works two ways. Chinese students would not change their desire to study abroad even if large numbers of students from the West attend Chinese higher education institutions because the higher education of China and the West complete each other. Photos are courtesy of Lee Shu Ping and Yaqun Zhang.